Rosemary and lemon verbena are ready for harvest in the culinary garden. In addition, coriander seeds are available to collect from our cilantro plants. 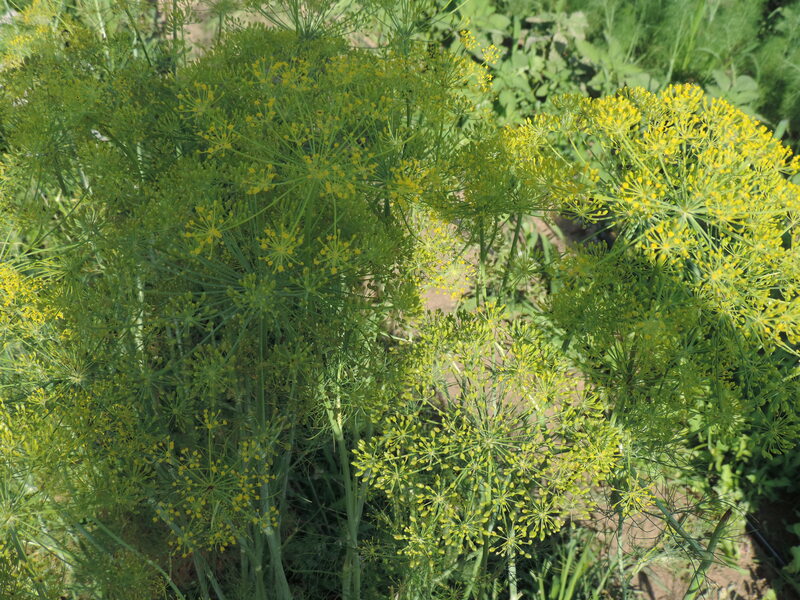 You can also harvest dill flowers from the field. This popular herb has what seem to be 1,000 uses. It pairs beautifully with many foods and is popular in Mediterranean dishes. Its citrusy, woodsy flavor is delicious when infused in olive oil or vinegar or roasted with meats. Rosemary is thought to improve memory, and has been used as a symbol of remembrance. Harvest rosemary by snipping a 2-inch sprig or two with scissors. Steep lemon verbena as an herbal tea, or use to flavor cocktails and other creative drinks. It can also be used to infuse a simple syrup made with sugar and water. Harvest lemon verbena by snipping a 2-inch sprig or two with scissors. Coriander seeds are the seeds from cilantro plants. If you like coriander, cut the tops off the cilantro plants that have gone to seed (whatever isn’t taken will be mowed down during the next few weeks). Use the seeds immediately, or store the plant tops in a paper bag to dry. As the tops dry, the seeds will fall out and into the paper bag, so they’re easier to access.